All professionals at New York Dental Studio maintain the highest levels of accreditation and pursue ongoing education to stay abreast of the latest trends in the medical field. Read on to learn more about our staff's experience and training. Dr. Brandon Huang is an elite dentist who has been practicing at New York Dental Studio in Manhattan, NY, for more than 15 years. Dr. Huang received his dental degree from Ohio State University College of Dentistry. He obtained his undergraduate degree in Biochemistry from Case Western Reserve University. He completed his post-graduate training at Maimonides Medical Center, and an internship at Mount Sinai Medical Center in Manhattan, New York. 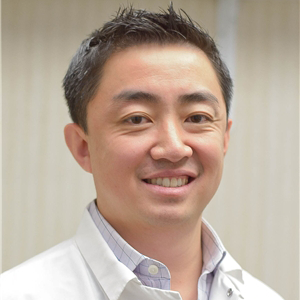 Dr. Huang not only has experience in the technical aspects of dentistry, but he is also very approachable, friendly, and compassionate. He understands that some patients feel uneasy about coming to the dentist, and he will take any measure to ensure your comfort. Dr. Huang focuses on complete oral health. He gets to know each patient and talks in-depth about their goals, both restorative and cosmetic. Each patient comes with a unique vision for their smile, and Dr. Huang is passionate about making their visions a reality. His detail-oriented eyes allow him to make subtle alterations to your smile that compliment the natural beauty of your face, resulting in an attractive, aesthetically-pleasing smile. "Our practice goes out of our way to take care of our patients. At the same time, we look at all needs, even their financial needs, to ensure they receive proper care."